I’m excited to be writing Spotburner’s first blog post of 2019. As Co-CEO my primary function is the non-creative side of our company which allows me to focus on maximizing our client’s total business results. Frankly, there are some very talented Video Production companies in the Los Angeles area. While many may not have the breadth of assets we enjoy (Our own studio, mobile truck, live-streaming capability, etc. ), that doesn’t mean that many of our competitors don’t produce quality work. That said, we produce high quality work at attractive pricing AND focus on the, what to some, may be unimportant issues. That is right until our clients need this expertise. For instance, we always use multiple backups including cloud-based solutions on all our work. We also handle/negotiate client’s talent contracts that focus on YOUR needs and long-term marketing strategies. Finally, we always shoot/produce more content than our customers expect. As a business person, I understand the need for repurposing our content going forward as your needs may change. These strategies are just some of the benefits we provide our clients and, are always included at no cost. We’re fans of repeat business (who isn’t?) so it’s always easier when the “big picture” has been taken care of. Whether you’re a Fortune 500 company or a smaller business that needs great results and a professional partner, we’ve proven over the last 4 years and 100’s of projects that, frankly, we’re very good at what we do. 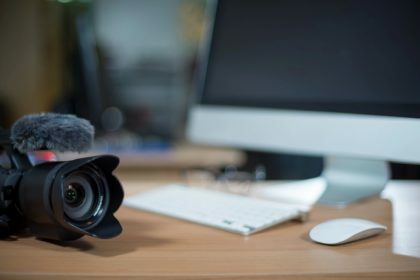 While video is clearly the medium of choice to maximize results, it’s just as important to work with a partner that understands you run a business and you must get quantifiable results as well as have a strategy that will work as your needs change.